Bradley grew up in the Bay of Plenty region, Tauranga being his home town. He Joined the funeral industry upon leaving schoolwhere he became an embalmer. Bradley along with his Wife Laura decided to cross the ditch to pursue his career as a funeral director in both Brisbane and North Queensland. 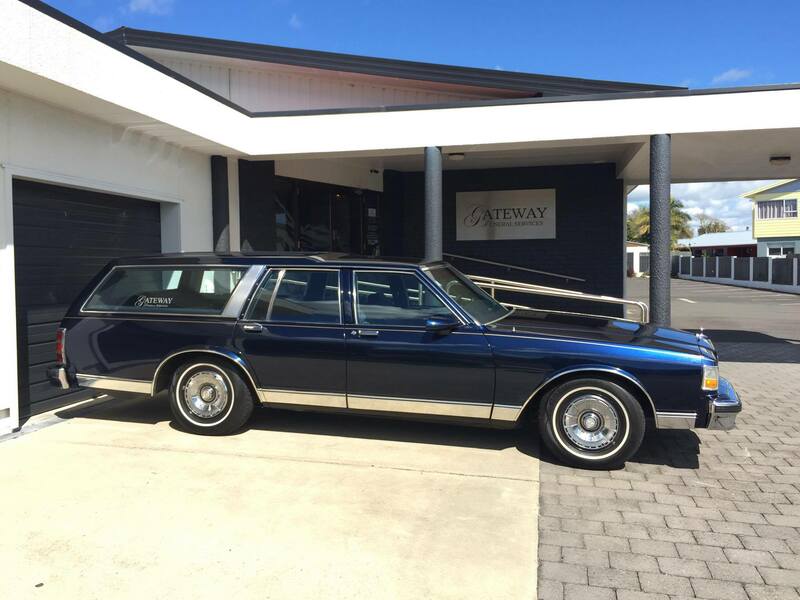 After an opportunity arose to take on Gateway Funeral Services, he moved back to New Zealand where he now resides in the Whakatane region. Bradley Graduated with the Diploma in Funeral Directing in 2017 and is a Registered Funeral with the Funeral Directors Association of New Zealand. Bradley is also heavily involved with volunteering his time being the President of Whakatane Lions and BNI Whakatane. However small your contribution is as valuable as a green stone. My Husband is Domino Waihirere, we have 4 children and 6 grandchildren. Although I have been fortunate enough to gain formal certified qualifications throughout my working career Kaumatua within their wisdom and virtue have inspired me to sincerely believe that life’s experiences and gathered knowledge are truly an unwritten qualification worthwhile as recognition in what we have to offer. As a reflection of this, I bring with me 17 years of experience as an embalmer and funeral director. I was born and raised in Whakatane, I began my journey in the funeral industry in the Hamilton region. I am a qualified embalmer, and I was approached by Gateway Funeral Services to see if my wife Memory and I would move back to Whakatane, I jumped at the chance to return to my birth place to help Whanau in their time of need. I enjoy spending time with my family. To contact Hemi email hemi@gatewayfuneral.co.nz. Amiria moved to Whakatane when she was 4 years old and has grown up here in sunny Whakatane. She has one child. Amiria has started in the funeral industry to help whanau in their time of need and to honor and celebrate their loved ones life, Amiria enjoys spending time with her whanau and friends along with the great outdoors. Nui taku aroha na Amiria Wrathall. I have been married 46 years to my wife Mary, who also works for Gateway Funeral Services as a celebrant & grief counsellor. I enjoy working in the funeral industry because I am able to assist whanau/families in their time of grief. Spending quality time with our three daughters, also family & friends we enjoy fishing, diving & hunting together. As a Funeral Facilitator the ceremony of celebrating, honouring, & remembering the person’s life in a befitting way I feel is one of the most important parts of the funeral. With that in mind together with the family I provide a non-religious funeral service. It is a process of consultation with the family – then the preparation of carefully selecting the most appropriate quotes and poems & making provision for a selection of music which is been specially choose by the family. Then with compassion sincerely & care I prepare the funeral ceremony. The most important principle is that the words said express & celebrate the life of the person who has passed and if that person had beliefs and ideals these too will be reflected in the ceremony. A ceremony which pays a proper tribute to the deceased person that’s 45 minutes to one hour. Donna grew up in Hamilton until leaving school where she met Garry her soon to be husband. After travelling around the world and a stint in Australia, they decided it was time to come home and settle in Tauranga. After owning several business and being involved in payroll and accounts for over 20 years it only seemed right when their son Bradley was wanting to come back from Australia that Gateway Funeral Services was to be the perfect option for the future. Donna enjoys nothing more than friends and family and a good quality glass of Sauvignon Blanc. Gateway funeral Services was originally started in 1991 by the Walker family, A family that wanted to make a difference in the community. 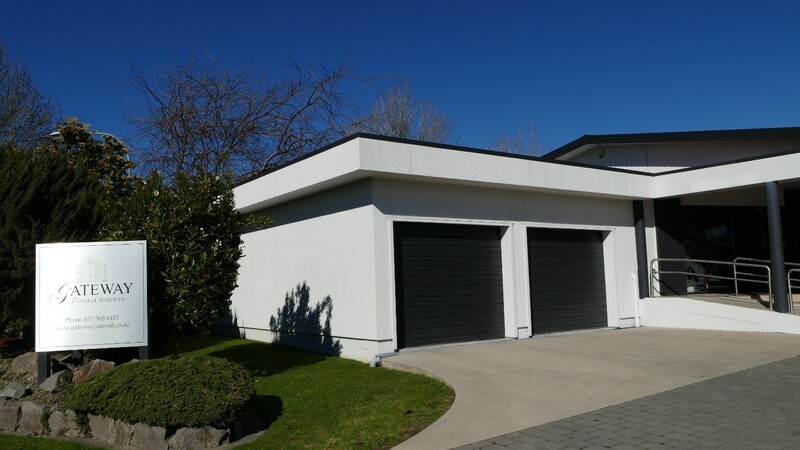 Upon opening the original Gateway Funeral Services in Gateway Drive, Whakatane (hence the name), they immediately made an impact in our community. Gateway was built as a family run business to support local families and still is today. After the loss of Humphrey Walker, Susan Thrupp and Debbie Bluett took over from their father and carried on his legacy in the way he would have wanted it. Many great years had been spent in Gateway Drive. However, the business was becoming too big for the premises. A decision was made that in order to carry on providing the best possible service for our client families that a bigger premise was needed. 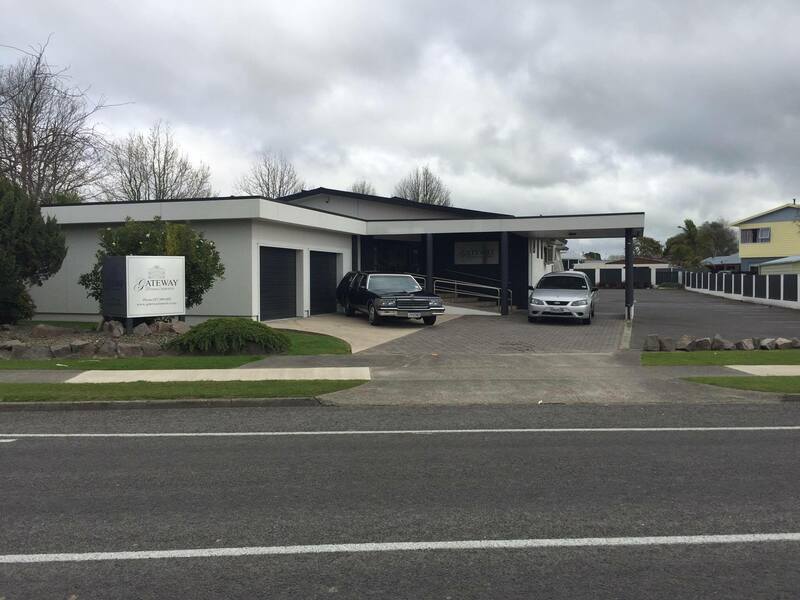 In 2010 the purchase of the Jehovah Witness Kingdom Hall on Awatapu drive was a welcome inclusion for Gateway Funeral Services. 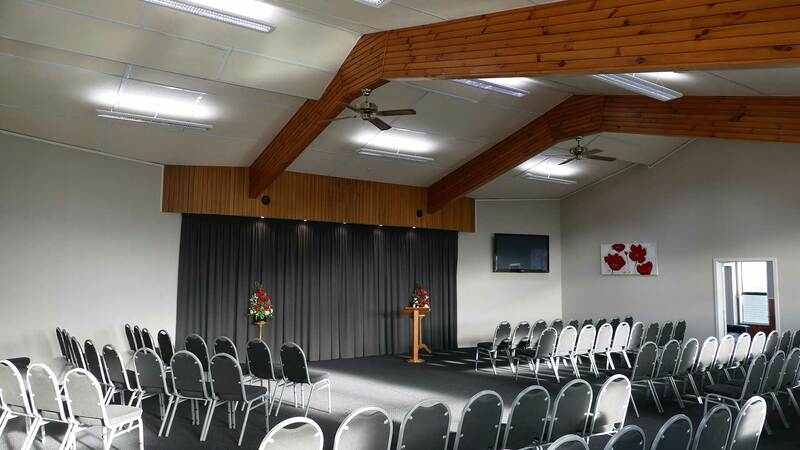 Renovations took shape and it included a large reception area, 130 seat chapel, catering lounge, family room with kitchen. Along with a dining and living room plus a private viewing room and bathroom. 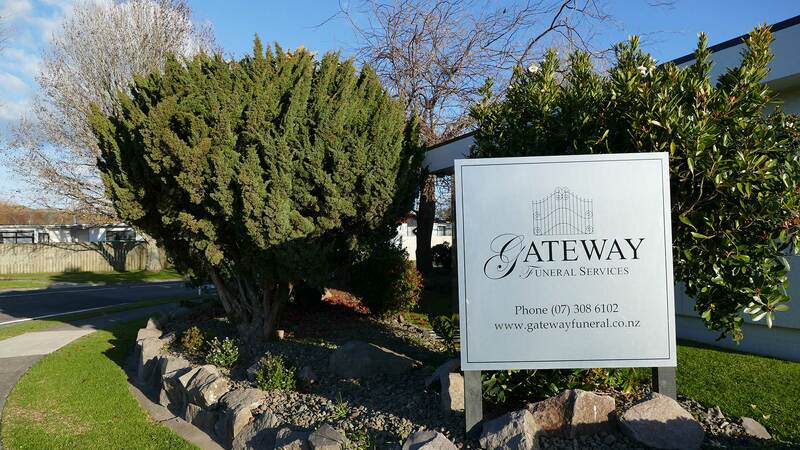 Our new and improved Gateway Funeral Services was really taking shape and in 2015, Susan, Debbie their families decided that their time was up and that a change of ownership was needed. We are proud to say we are still a locally owned and operated, family ran Funeral Directors. Fast forward to The Shaw family – who are delighted to take over this well established business in December of 2015 and are still in ownership today. We are carrying on the legacy of the founding family to support our local families.